So, I played it safe with tonal shades of pinks & purples. This one was actually inspired by the next one (which I painted first), after falling for Colorbar #71 all over again. I think I'll be wearing colorful nails all summer. It's so fun and this way I'll actually wear most of my nail polishes more often. nice nail colors. Please do check out mine and comment what you think about it ^_^. wow!! interesting nails :)I like Esse no boundaries.. I think its fun!!! I wanna wear brights for summer too!! I saw some LA colors in Mega Mall..almost bought one but then let it go.. I saw you youtube video,you did it better than andreas choice! 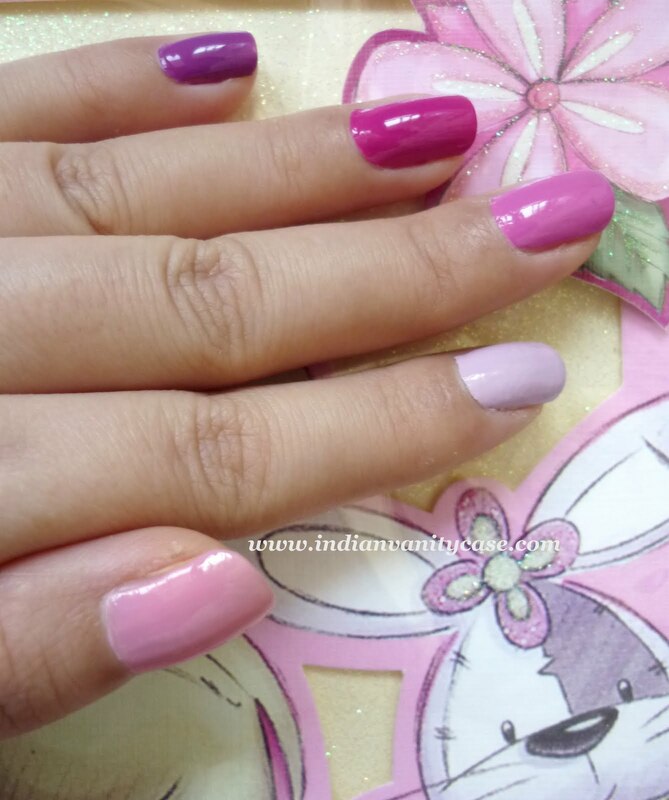 I’ve been seeing lots of vibrant colours on many bloggers’ nails. I think all the various shades of purple complement one another and I think it’s ok for one hand to have polka dots and not the other. so creative! love the color of your nails!